January for me has been: struggling to readjust, eating very unhealthy and just getting through. Already there has been 6 days of February and it already feels like more of the same. I'm not very motivated and I'm still dealing with low moods and anxiety but I feel like there are lots of us feeling the same. 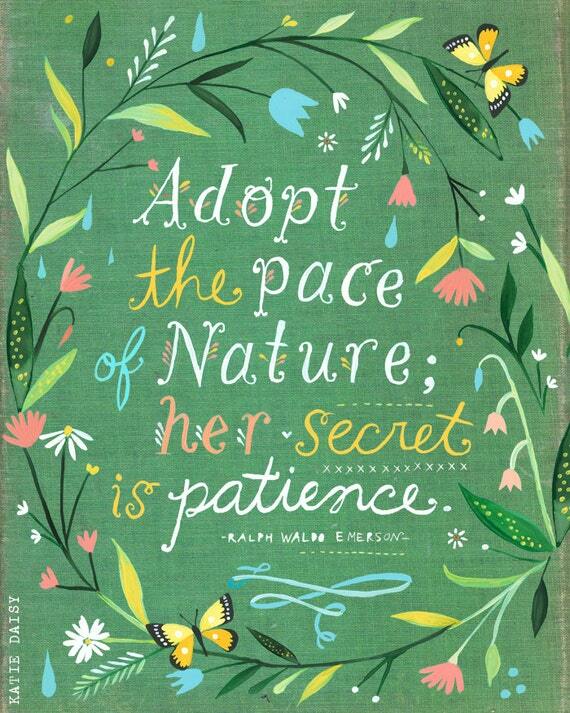 Have patience. Don't give yourself a hard time for having bad days, weeks or months. Allow yourself to feel and believe in better days. This is a lovely print I came across on Pinterest. I do love discovering beautiful, inspiring art. Have you come across any inspiring pieces? Care to share?